Zemmrate » Table setting » Napkin Folding - Flex. 2. Align the left and right corners of a triangle with its apex. 3. Fold the piece in half the horizontal axis. 4. Right corner to connect with the left rear napkins and lay into one another. 5. Turn shape. Looking up sharp corners, pull right or left. ﻿ Napkin Folding - Thong with flex. ﻿ Napkin Folding - Sasha Corners. ﻿ Napkin Folding - Junk. 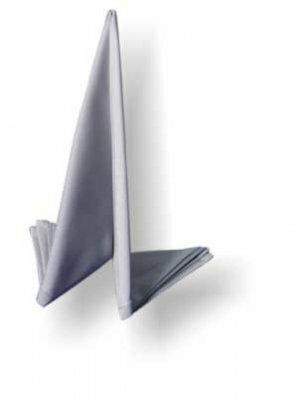 ﻿ Napkin Folding - Everest. ﻿ Napkin Folding - handbag. 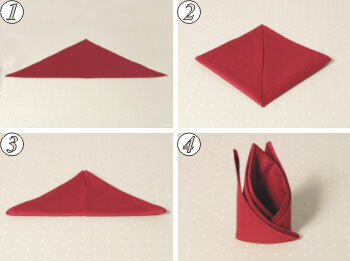 ﻿ HOW TO FOLD NAPKINS ﻿ Napkin Folding - Lily ﻿ Napkin Folding - Mitra bishop.